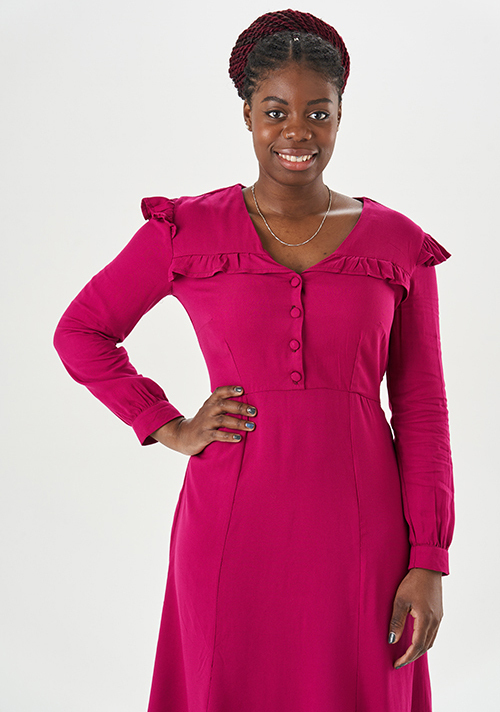 Home>Blog>Blog>Behind the Seams>Meet the Isla Dress sewing pattern! 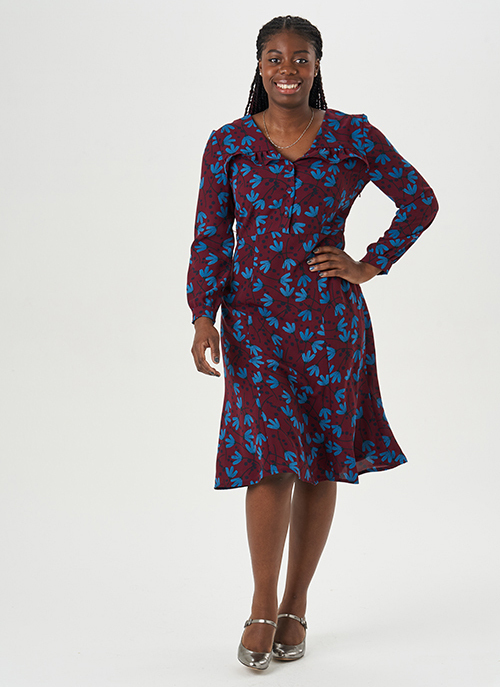 Meet the Isla Dress sewing pattern! There’s a new pattern on our PDF shelves! Meet Isla! 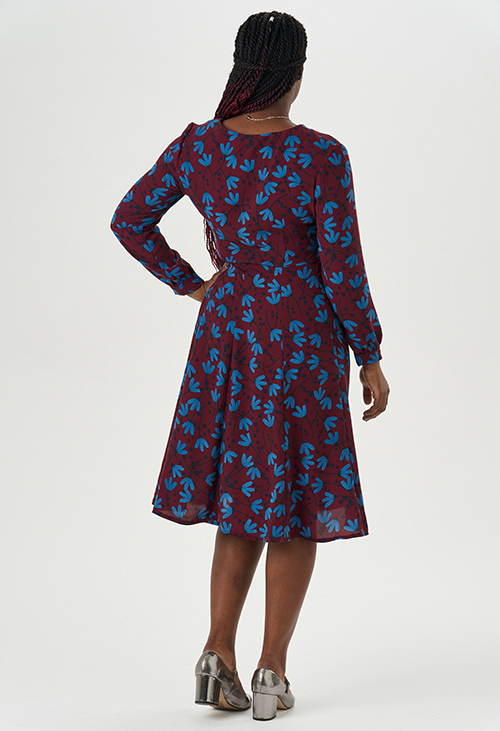 The perfect day dress, Isla is floaty, feminine and oh so flattering on a wide range of figures. With optional shoulder and yoke frills she’s fun to dress up and take out to a party, but leave these off and you’ve got a gorgeous dress for a weekend break, lunch with friends – or simply for looking great at the office. 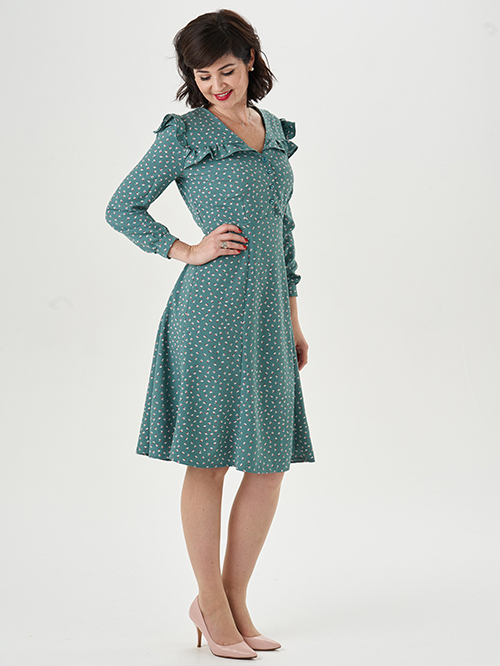 Isla features a gently fitting button-up bodice, with bust and waist darts. The yoke offers the chance to insert a front frill, with frills also optional on the shoulders for a very on-trend look. Set-in sleeves can be cut short, or kept full-length with a gathered, closed cuff. The panelled skirt gives a fluted, feminine feel, perfect for swishing. A great pattern for intermediate stitchers, Isla is designed to be sewn in lightweight woven fabrics with lots of drape, such as rayon and viscose, crepe and georgette. 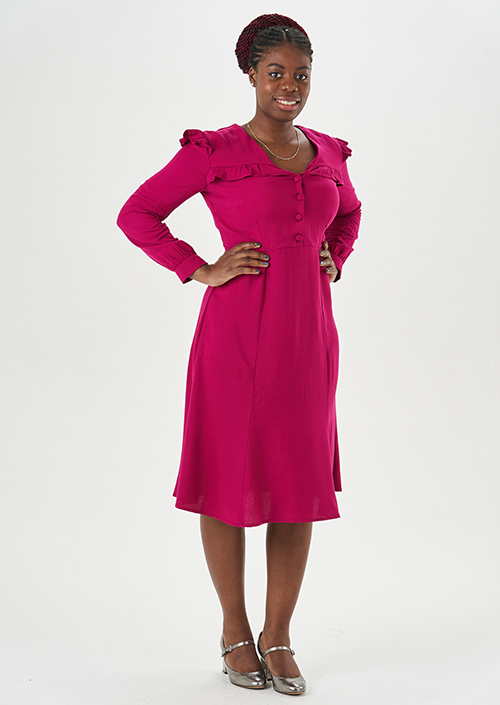 We hope you like the Isla Dress! We can’t wait to hear your plans for her in the Sew Over It Makers Facebook group! Snap up your copy on our online shop!